From new games to new technologies and platforms, pokies conventions provide a way for software and gaming developers to come together under the one roof to share their new inventions and plans for the future. These important events allow gaming companies from all over the world to network with vendors and suppliers, while unveiling their latest creations to the media and public. 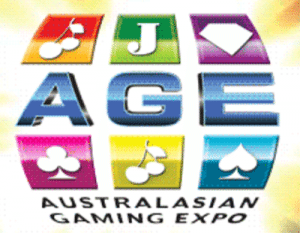 The Australasian Gaming Expo (AGE) is the biggest annual pokies convention in Australia and has been running since 1990, making it the oldest and largest expo of its kind in the Asia Pacific region. The convention is operated by Gaming Technologies Australia Limited and runs for three days in Sydney every year in August. It has become one of the world’s largest casino equipment trade exhibitions, attracting company CEO’s, directors, venue managers, general managers, brand presidents, licensees and influential names from the food and beverage industry. 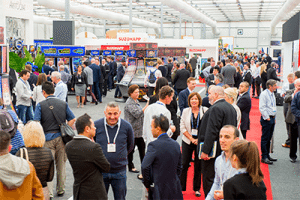 The event itself has been nominated for many prestigious awards including Best Exhibition in the Australian Event Awards and Best Trade Show in the EEAA Awards. Gaming companies that have held spaces at the AGE include industry leaders like Aristocrat Technologies, IGT, Ainsworth Game Technology, Maxgaming, Atlas Gaming, Independent Gaming, eBET and many more. The expo isn’t limited to just gaming companies – you’ll also find exhibitions from companies related to the gaming industry, like furniture fitouts, travel agencies, music operators, payment service providers, construction companies, marketing agencies, corporate advisories and more. You can think of the Australasian Gaming Expo as a one stop shop for all aspects of the land based pokies industry. While previously held in the Sydney Exhibition Centre, from 2017, the Australasian Gaming Expo is set to take place in Sydney’s brand new International Convention Centre (ICC) in the heart of Darling Harbour. To enter, you must be at least 18 years of age and have registered to attend the expo, which you can do online at austgamingexpo.com. Attendance is free for gaming industry executives. The 2017 AGE will take place from Tuesday the 15th to Thursday the 17th of August. Gaming, Racing & Wagering Australia (GRWA) is an annual premiere conference regarding all aspects of the gambling industry in Australia. This convention, which is also held in Sydney, brings together over 150 of Australia’s leading sports betting, racing and gaming executives and has become a must attend industry event for operators from Australia and across the world. The conference covers things like the latest industry developments, changes to gambling regulations, and strategies to stay ahead of the curve, with presentations from key speakers from various sectors. The GRWA conference is not specific to the pokies and you won’t find any games on show here, but it has become an important event for industry professionals, with lots of information targeted towards the online casino industry. Global Gaming Expo – The Global Gaming Expo (G2E) is an annual event held in Las Vegas, offering a place for anyone who works in the gaming industry to network, learn about the latest trends and check out the latest products and games, including the newest pokie machines. ICE Totally Gaming – The annual ICE event is held in London to showcase the latest in gaming innovation, from the pokies to sports betting and mobile gambling. This convention provides a gathering place for the major players in the pokies industry, including developers, regulators and operators, with exhibitions from the biggest names in online pokies including NetEnt, Microgaming, iSoftBet and BetSoft. Vienne International Gaming Expo – This is a three-day gaming exhibition and conference held in Europe every year, with the aim of bringing together the online and land based gaming industry from all over the world. The VIGE showcases the latest in online pokies, including upcoming game release and new technological advancements. Want to try playing pokies for real money online? Sign up for an account at Slots Million which offers over 1,800 games from all the biggest software providers in the business. New players who register using our links can claim an exclusive welcome bonus of up to $100 when depositing real money for the first time. Councillors in Mitchell Shire are calling for the Victorian government to introduce mandatory warning labels on all licensed poker machines in the state. Brimbank Council has attracted controversy after a proposal to accept funding from the gaming industry to help pay for a new $58 million leisure centre. The hospitality branch of Woolworths is spearheading a radical campaign to reverse the anti-pokies policies that have crept into Victoria's local governments.